﻿Synopsis : Klara Walldeen was orphaned as a child and brought up by her grandparents on a remote Swedish archipelago. She is now a political aide in Brussels - and she has just seen something she shouldn't: something people will kill to keep hidden. On the other side of the world, an old spy hides from his past. Once, he was a man of action, so dedicated to the cause that he abandoned his baby daughter to keep his cover. Now the only thing he lives for is swimming in the local pool. Then, on Christmas eve, Klara is thrown into a terrifying chase through Europe. Only the Swimmer can save her. But time is running out...This is an electrifying thriller from a brilliant new talent. 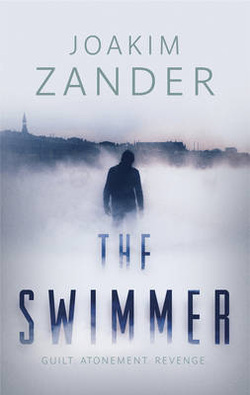 Published in twenty-seven countries and already a bestseller in Sweden, THE SWIMMER is on the cusp of becoming a global phenomenon.